The Laerdal Suction Unit with Semi-Disposable Canister and the Suction Unit with Reusable Cannister are both machines that help clear your patients' airways while you're out in the field. 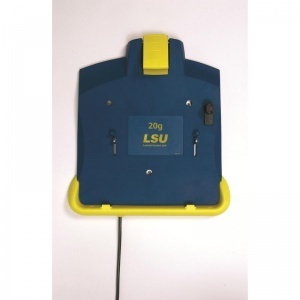 If you regularly store your unit in the same place but have no means of charging it in the vicinity, the Wall Bracket with DC Power for the Laerdal Suction Units has been designed for you. Although travelling around the area can be a major part of your job as a first responder, there might be times where you aren't travelling around as much as usual. However, it's still paramount that you charge the unit between uses so it's ready for when you next need it. In this situation, the Suction Unit can be placed on the Wall Bracket and charged. This makes it ideal if you return to the building (e.g. the hospital) on a regular basis. The Wall Bracket with DC Power for the Laerdal Suction Units will be subject to a delivery time of 3 - 4 working days after the point of order. For more information, contact our Customer Care Team at 020 7501 0593.